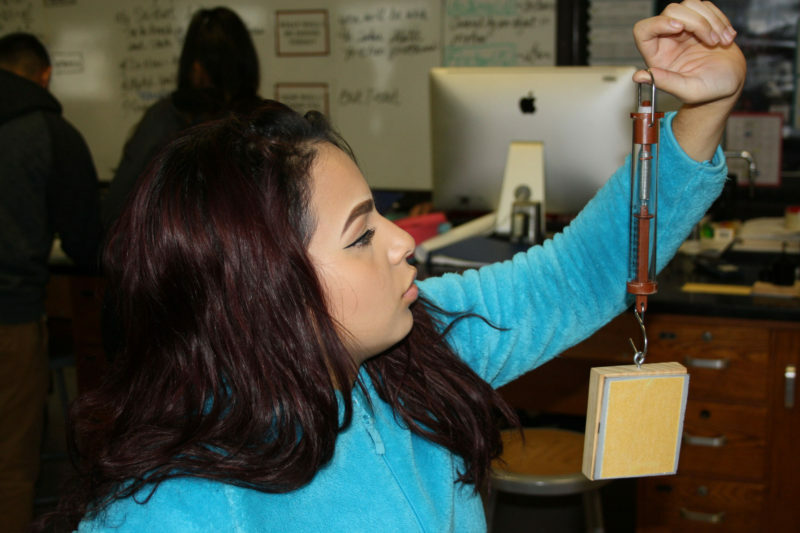 CAMDEN, N.J. — Students in Rosa Sarita’s physics class were working in groups, dragging weighted blocks of wood over different types of surfaces, measuring friction in newtons. 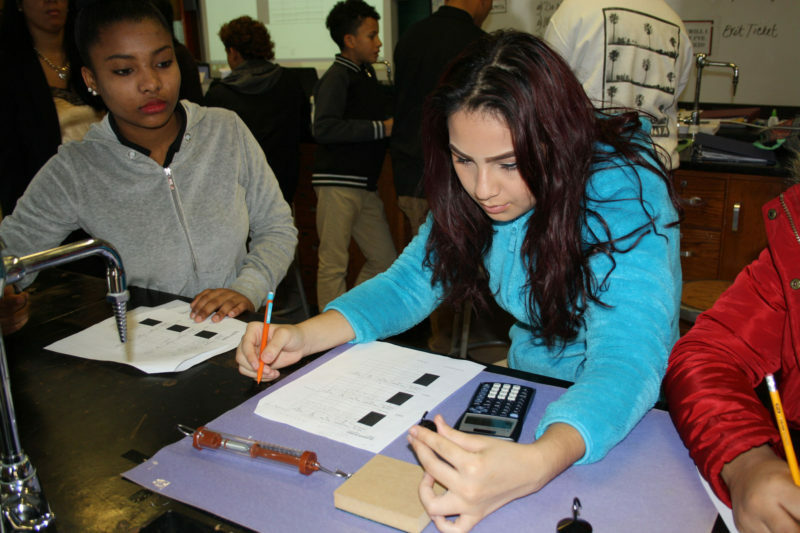 These students, all ninth-graders at Woodrow Wilson High School in Camden, New Jersey, were seeing that sandpaper creates more friction than a plain wooden surface and using an equation to find out exactly how much more. Nationwide, ninth-graders don’t usually take physics. In fact, the majority of the nation’s seniors will graduate having never taken physics at all. And Sarita’s students, Spanish-speaking Latinos attending a high-poverty school, are an even unlikelier bunch to catch in a physics lab. Physics is widely considered to be a building block for a range of STEM disciplines— science, technology, engineering and math — and taking the course in high school is strongly correlated with getting a degree in a STEM field. Educators, policymakers and the general public agree that education in STEM is important. STEM occupations, jobs data show, pay more, and employment in STEM fields has grown at a faster rate than overall job growth. Yet high schools around the country, while encouraging students to go into STEM fields, aren’t fully preparing them to do so. Based on a survey of physics teachers, the American Institute of Physics estimated that just 39 percent of the class of 2013 took even a single physics class in high school. While this didn’t necessarily lock them out of STEM majors in college, it put them at a severe disadvantage. The problem is the product of a vicious cycle. With relatively few high schoolers taking physics, few go on to major in physics in college, which limits the supply of physics teachers, which, in turn, limits the number of students who can take a physics course in high school. The majority of the nation’s seniors will graduate having never taken a physics class. The problem is especially acute in high schools that serve predominantly low-income students and large black and Latino populations. The American Institute of Physics study found that a majority of the schools where physics isn’t offered at all are attended primarily by students of “low socioeconomic status,” and that black and Latino students are far less likely to take high school physics than their white and Asian peers. Data about the pool of physics teachers is equally stark. According to the American Association for Employment in Education, physics is the only discipline that has a “considerable shortage” of teachers in every region in the country — edging out other hard-to-staff subjects such as bilingual education, math, chemistry and all types of special education. Sarita, who teaches physics in Spanish at Woodrow Wilson High School, is basically a unicorn. But Sarita didn’t apply to Camden City Schools with that skill set. She was coached from within the district. 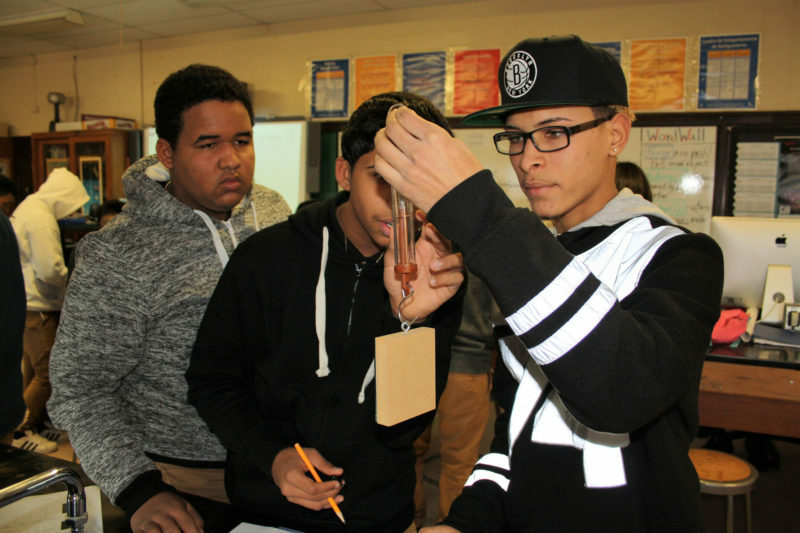 According to the New Jersey Center for Teaching and Learning, Woodrow Wilson is one of more than 150* schools that has partnered with the nonprofit to send their teachers through an alternative certification program for physics. Sarita started out in the district teaching English as a second language. She was recruited to get the physics certification two years ago, in advance of the district’s conversion to a “Physics First” model in all of its high schools starting in the 2016-17 school year. This means that freshmen start high school science with algebra-based physics instead of the more traditional biology. And while not a state graduation requirement, physics is now a Camden City Schools graduation requirement. Camden, however, is in a distinct minority. In most districts, physics is optional, if it’s even offered at all. Cottle tracks physics participation in all of Florida’s school districts and said that only about 25 percent of students take the course before graduating. In Texas, by contrast, about 80 percent of high school students take physics, according to Michael Marder, a physicist at the University of Texas at Austin who has studied the impact of state policy on physics participation. Students who entered high school during the 2007-08 school year were the first to be required to take the course by the time they graduated. Marder said that by the 2013-14 school year, the state had hit the 80 percent participation threshold. “That was a pretty notable achievement that almost nobody paid any attention to,” Marder said. That same year, the state legislature changed the law — in part, Marder said, because teacher shortages made it hard for schools to comply. The short supply of physics teachers is not a new problem, but with a strengthening consensus around the value of preparing students for STEM jobs, it is a particularly important one to address. Monica Plisch, director of education and diversity at the American Physical Society, has looked at the gap between the number of teachers prepared to teach physics and the total number of high school students. Right now, she said, to offer physics to all students before they graduate from high school, the nation would need about 23,000 more physics teachers. PhysTEC, a partnership between the American Physical Society and the American Association of Physics Teachers, aims to get college physics departments to take more ownership in producing future high school physics teachers. While some strides forward have been made among the more than 300 colleges in the PhysTEC coalition, it is still considered impressive when a single institution graduates two physics teachers per year. Meanwhile, the New Jersey Center for Teaching and Learning says that it has produced an average of 26 new physics teachers per year since 2010 using its alternative credentialing method. Its program takes four semesters to complete, and, New Jersey allows NJCTL graduates to teach in its public schools on an interim basis. Teachers then have to take the extra step of passing the Praxis exam that makes their certification official. The NJCTL model relies on the belief that becoming a good teacher is harder than learning physics. The organization, in partnership with schools, recruits mid-career teachers who have proven themselves in the classroom already. They spend the first semester taking the freshman-year physics course they will ultimately teach and then spend the next two semesters teaching it while completing more advanced physics coursework. The final semester includes a capstone project. NJCTL works with districts of all types, but it considers its greatest impact to be in urban districts with large numbers of students who are black or Latino and large numbers of students from low-income families. In these districts, NJCTL’s training program can create a virtuous cycle: With more physics teachers, more students get the opportunity to take physics. That, in turn, should increase the number of students who go on to study physics in college, which could lead to more physics teachers in the future. But more importantly for NJCTL, making physics mandatory in schools that are otherwise the least likely to offer it increases the diversity of the overall physics-taking population. It all starts, though, with the teacher certification. Robert Goodman, NJCTL’s executive director and the creator of the freshman-year course the center trains people to teach, said that about one-third of those who earn its physics certification are black or Latino. By contrast, nationally, less than 12 percent of all students who graduated with a bachelor’s degree in physics in 2015 were black, Latino or Native American. And close to 50 percent of NJCTL graduates are women, compared to just 20 percent of 2015 physics graduates nationwide. 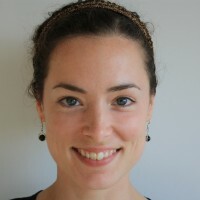 In Camden, Sarita considers it important to show her students, through her own presence at the front of the classroom, that women and Latinos can go into the hard sciences. “I feel like I’m doing something for them,” Sarita said. Francisco Villalona, a 17-year-old native of the Dominican Republic, is taking physics with Sarita. While he used to shrug off school, he has a new commitment to academics this year. He says he is paying more attention in class and that he finds that Sarita’s hands-on, algebra-based physics class is teaching him a lot. Villalona wants to study pharmacy, and Camden’s required physics course will ensure that he has a well-rounded background in the sciences as a foundation for his future studies. And once he finishes Camden’s new science track, he should also be well-positioned to achieve it. *Correction: This story was updated to reflect the actual number of schools with which the New Jersey Center for Teaching and Learning has partnered for its alternative certification program. Physics traditionally was the third of a biology-chemistry-physics science sequence in high schools. The reason was supposed to be because this is the order of difficulty in learning these subjects. In reality, it is related to the amount of math required. Yet, physics courses using no math beyond arithmetic have been devised. Moreover, physics lends itself more readily to easy, inexpensive, brief, and safe hands-on experiments than do the other two. Because physics underlies chemistry, and chemistry understanding has become important for understanding modern biology, some have suggested that the order be reversed. I concur. Biology used to be mostly memorization. That's no longer true and makes reversing the order of the three courses even more logical. Even more significant, physics instruction, if done properly, better prepares students for the real world after school by teaching them good thinking habits. It does this better than biology or chemistry because its conclusions are achieved with such clarity and often fly in the face of common sense. Scientific thinking is a form of critical thinking. Carl Sagan famously wrote that scientists, by their training, are equipped with a baloney detection kit. Everyone should be. I am so happy to hear of STEM increasing in intellectual value and that physics is considered almost the capstone. I took physics in high school and ended up with two terminal advanced degrees that I think to this day would not have been available to me without physics. After taking 1 years of physics in college I I was able to tutor first year physics students. I loved physics!! Physics is the basis for all science when you think about it closely. For example the concept of our being part of a holographic universe would not have been thought of without a knowledge of physics. Prinicples of quantum mechanics will soon be part and parcel of our computers. Physics iexplains the weather of earth, the plants and animals and in the stars. Such a lovely area to study! Absolutely everything, even our thought processes and the functioning of our brain, is part and parcel of physics!